Take the acronym CPR for example. It means Cardiopulmonary Resuscitation. Best not to try and say these 2 words after a glass of wine or three. A week does not go by without reading in the media of both genders, young and old, athletic or not keeling-over with a heart ailment. Event attendees/delegates are not immune either and it is wise for the event planner to have a basic knowledge of this simple procedure which hopefully will not ever be necessary to apply. 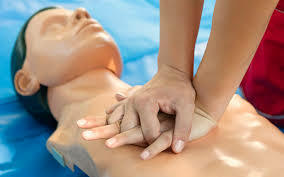 Yet CPR as part of an event planner’s professional abilities can be of immense value. The early April ‘P in Professional’ Definitive Workshop will ensure that participants (salaried & independent) have the necessary knowledge in their Portfolio Toolkit as professional leverage.